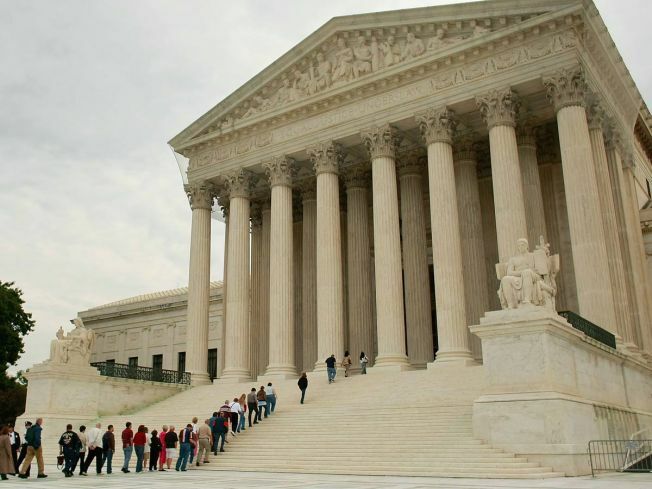 The Supreme Court ruled that illegal searches based on honest mistakes by law enforcement are valid in prosecuting accused criminals. The justices split 5-4 along ideological lines to apply new limits to the court's so-called exclusionary rule, which generally requires evidence to be suppressed if it results from a violation of a suspect's Fourth Amendment right to be free from unreasonable searches or seizure. The conservative majority acknowledged that the arrest of Bennie Dean Herring of Alabama — based on the mistaken belief that there was a warrant for his arrest — violated his constitutional rights, yet upheld his conviction on federal drug and gun charges. Coffee County, Ala., sheriff's deputies found amphetamines in Herring's pockets and an unloaded gun in his truck when they conducted a search following his arrest. It turned out that the warrant from neighboring Dale County had been recalled five months earlier, but the county sheriff's computers had not been updated. Chief Justice John Roberts, writing for the court, said the evidence may be used "when police mistakes are the result of negligence such as that described here, rather than systemic error or reckless disregard of constitutional requirements." Herring was arrested after a Coffee sheriff's employee asked her counterpart in Dale County whether Herring, called "no stranger to law enforcement" by Roberts, was wanted in Dale. An arrest warrant had been issued in Dale, but it had been recalled by July 2004. The sheriff's electronic records, however, showed it was still a valid warrant. But the 11th U.S. Circuit Court of Appeals in Atlanta said that suppressing evidence in Herring's case would be unlikely to deter sloppy record keeping.